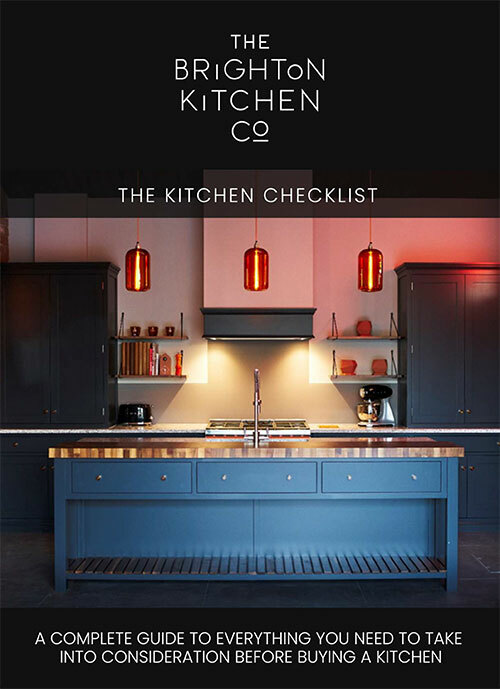 If you are looking for an exceptional kitchen designer passionate about the possibilities for a modern kitchen design, then look no further than The Brighton Kitchen Company. Our handleless kitchen designs encompass everything you could wish for in a contemporary, calm and effortlessly beautiful kitchen design. We understand that modern living demands creative and contemporary kitchen solutions. Our sleek, handleless designs are the ultimate statement in modern kitchen design. Forward-thinking storage solutions, cleverly integrated appliances, and handleless cabinetry are combined in our designs to create sleek and beautiful kitchen spaces. You are welcome to view our latest collection of contemporary kitchen styles at our Hickstead showroom. Come and browse our latest innovative kitchen designs for inspiration. Our talented design team will be on hand to answer any questions you may have. 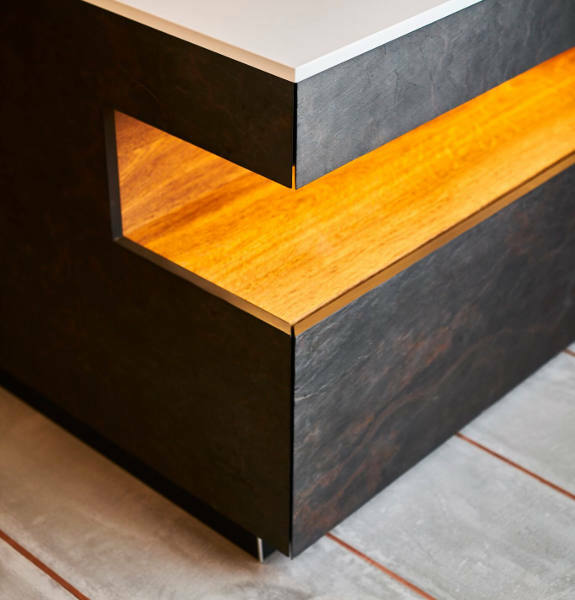 We consider ourselves extremely lucky to be partnered with a highly skilled, local cabinet maker based in the heart of Sussex. His experience in constructing beautiful kitchen furniture to our design specifications is second to none. Supporting local trade is extremely important to us, so we are delighted all of our bespoke kitchens are made in Sussex where we are based. We know our clients love that too. All of our bespoke handmade handle less kitchens are constructed using traditional joinery techniques. Combined with our innovative ideas, these are truly spectacular kitchens that are not only built to last, they represent the cutting edge of modern kitchen design. For any bespoke design, we’ll work closely with you to create a kitchen solution that works brilliantly in function and looks stunning in form. Our clients have come to know us for our exceptional quality materials, our deep respect for individuality and our passion for technical and aesthetic excellence. German kitchens have a reputation as one of the most desirable kitchens in the modern world. 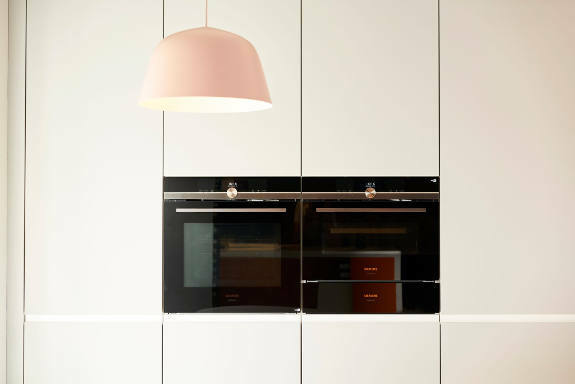 Our German range of contemporary kitchens certainly live up to expectations and come in a selection of beautifully streamlined, handleless designs. If you are looking for a cutting-edge kitchen that stands head and shoulders above the crowd, then one of our German kitchens could be just what you are looking for. Elegant, modern and with lots of exciting details, these are kitchens that will bring admiring glances from all of who visit your home. We create inspiring kitchens full of luxurious detail and individuality. A choice of colours, worktops and appliances offer infinite possibilities. 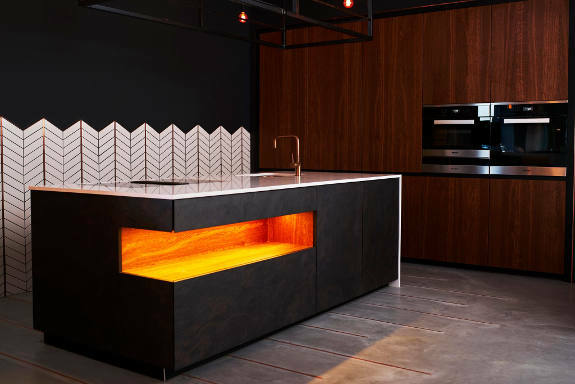 Whether you want a stylish, bold, statement kitchen or one exuding understated minimalism, we can bring you exactly the kitchen you hope for and more. We are delighted to be working with a UK company producing modern, handleless kitchens to an incredibly high standard. The quality of the cabinetry is exceptional. Solid frames come with a variety of contemporary handleless door styles in a range of finishes to suit the overall style you wish to achieve. Importantly, these kitchens are constructed locally in Sussex so support local trade. This range of kitchens offers our clients a more cost-effective solution than our handmade, bespoke kitchens, or those in our German kitchen range, but we never compromise on quality of build so you can expect the same high standard whatever kitchen option you choose. If you would like to know more about what we can do to transform your kitchen space, why not come and see us at our showroom in Hickstead. Book a free design appointment and one of our talented designers will help you find the ideal kitchen for you and your home. We love bringing kitchen dreams to life in Brighton, Sussex, Surrey and Kent, but we’ll happily go further afield to make a kitchen dream come true.